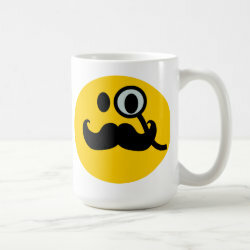 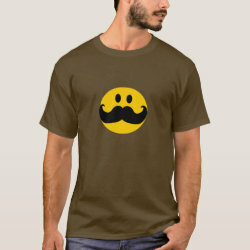 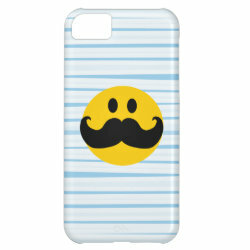 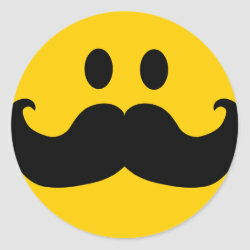 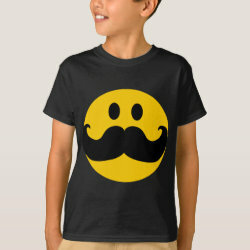 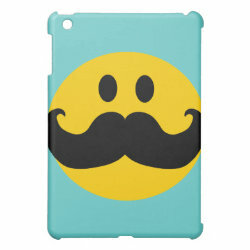 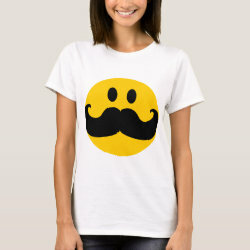 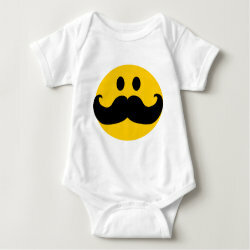 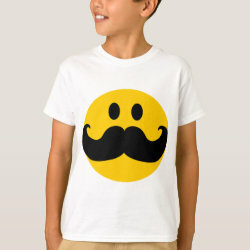 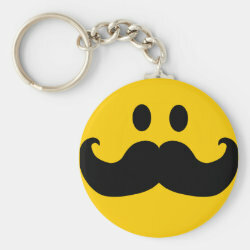 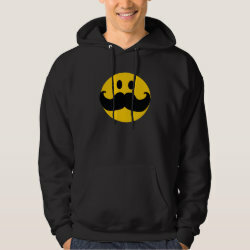 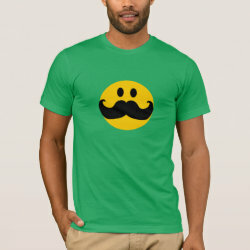 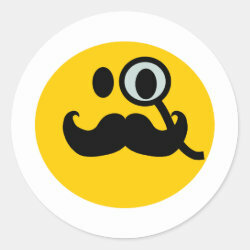 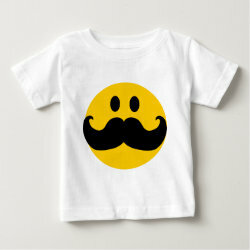 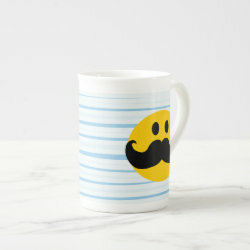 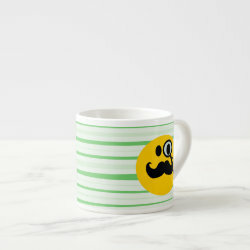 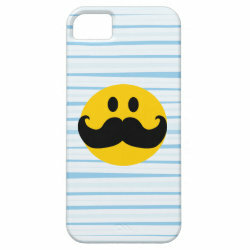 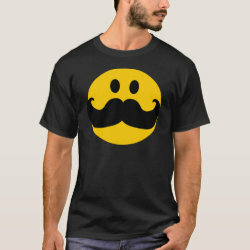 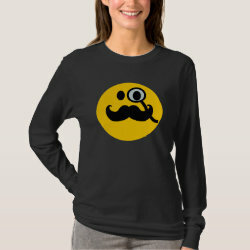 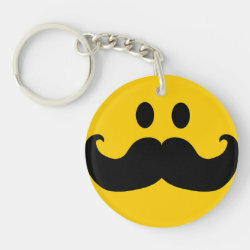 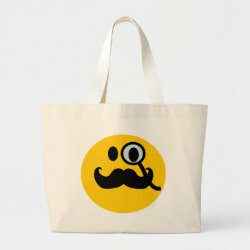 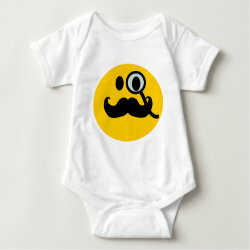 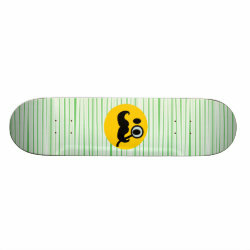 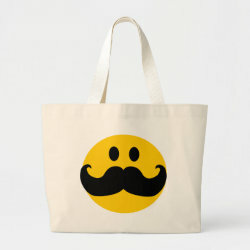 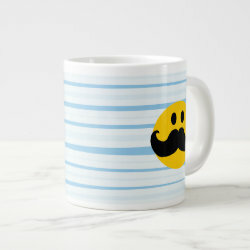 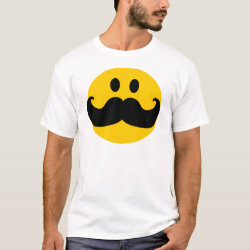 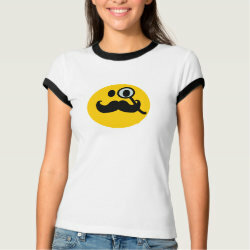 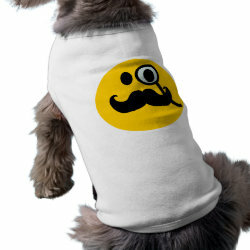 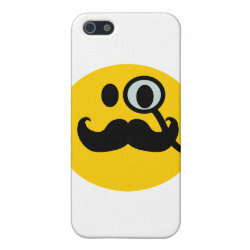 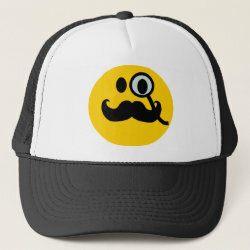 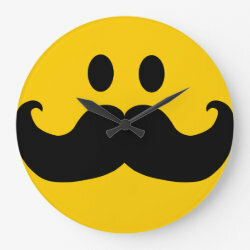 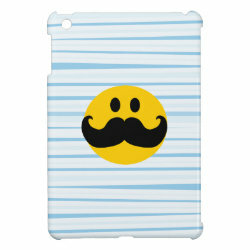 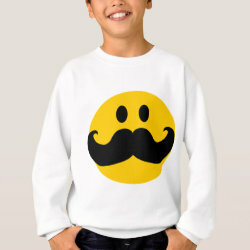 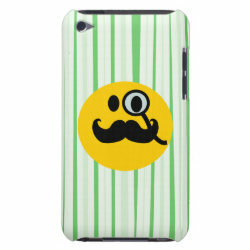 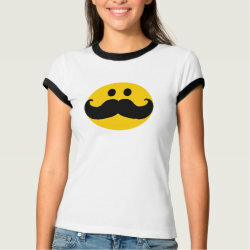 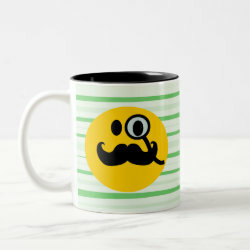 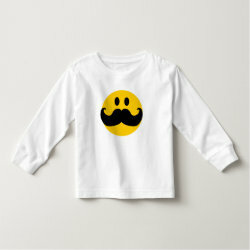 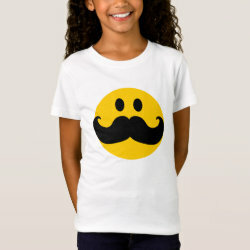 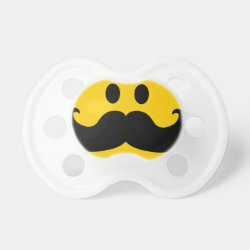 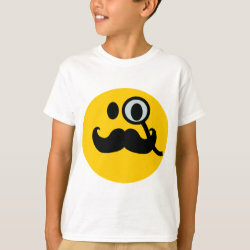 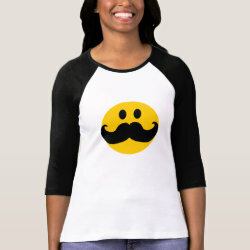 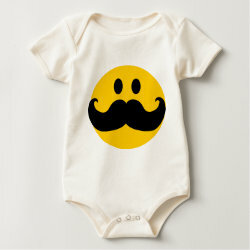 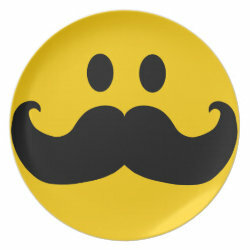 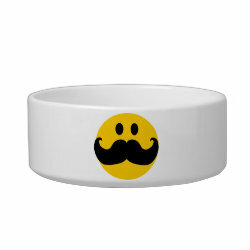 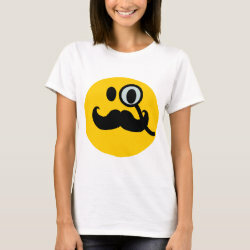 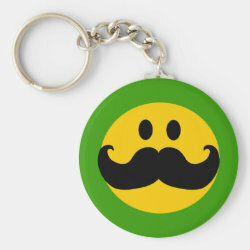 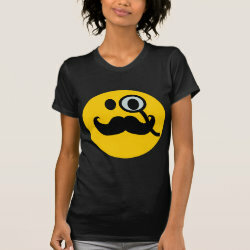 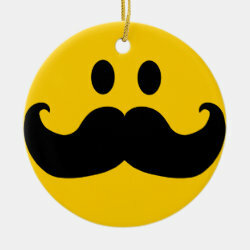 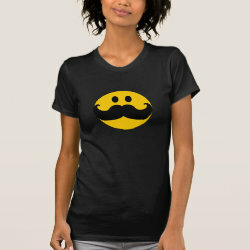 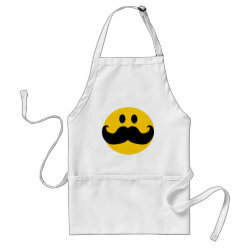 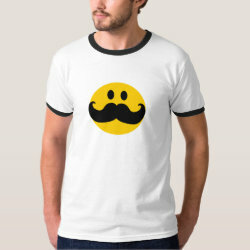 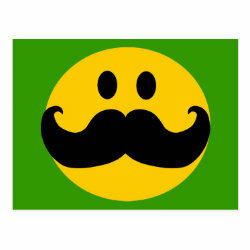 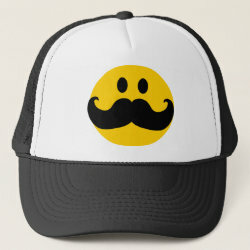 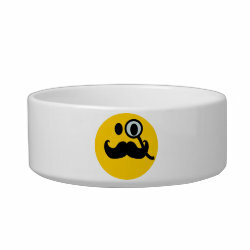 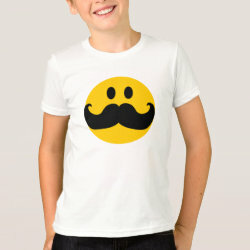 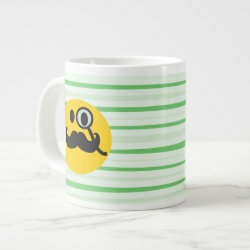 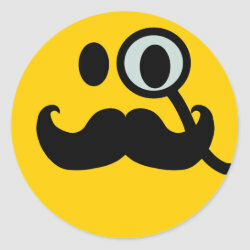 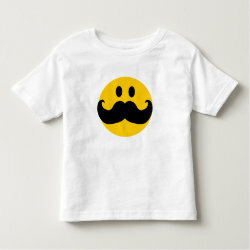 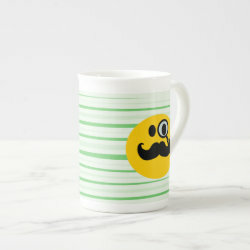 This funny yellow smiley ha a large black handlebar mustache and a monocle. 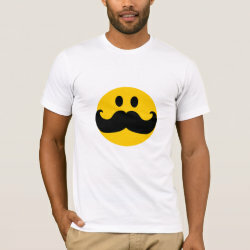 A cute design for real gentlemen. 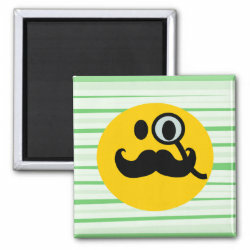 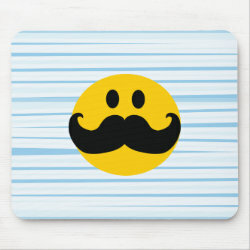 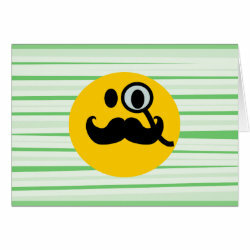 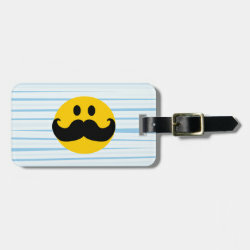 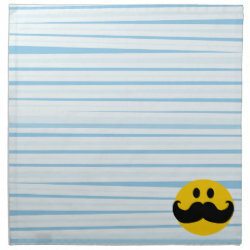 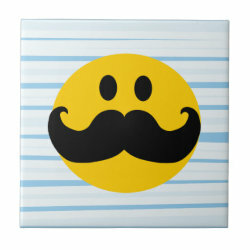 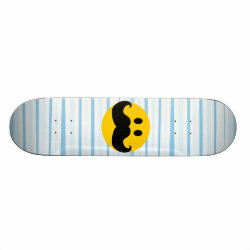 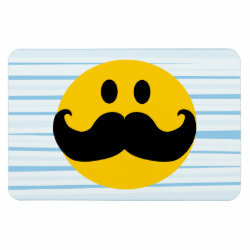 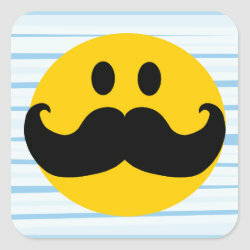 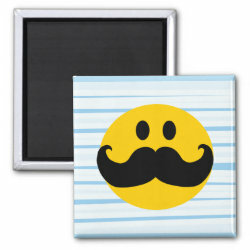 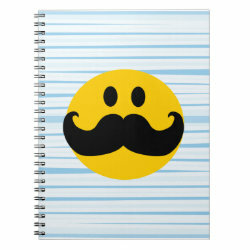 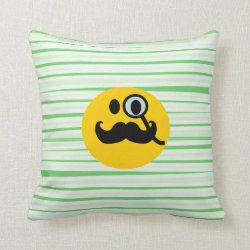 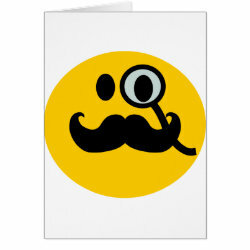 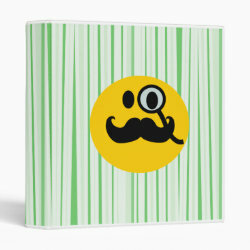 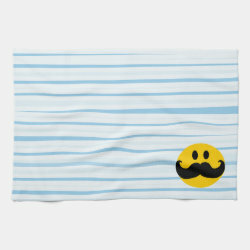 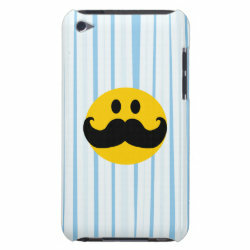 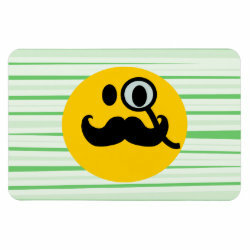 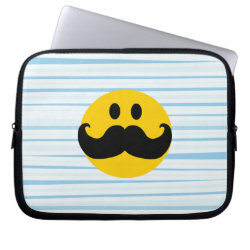 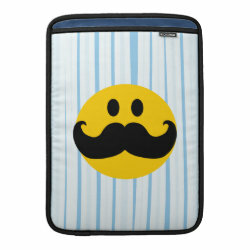 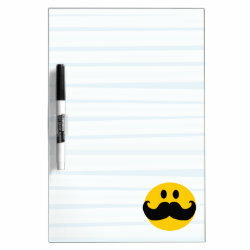 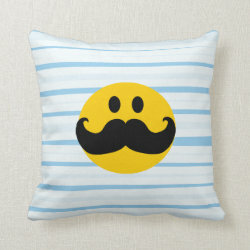 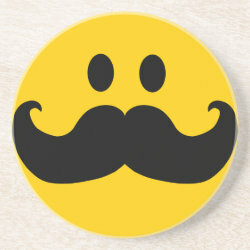 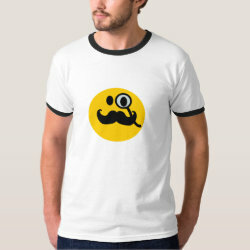 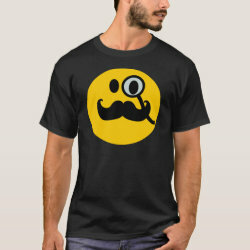 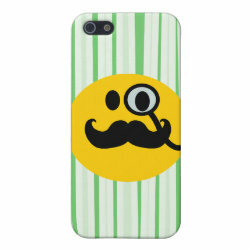 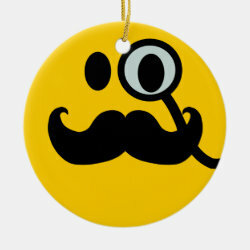 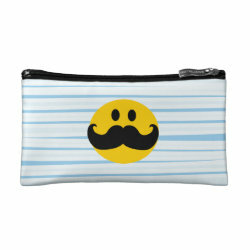 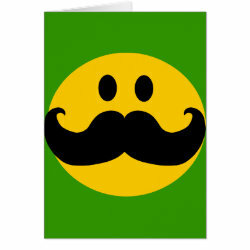 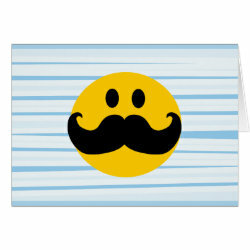 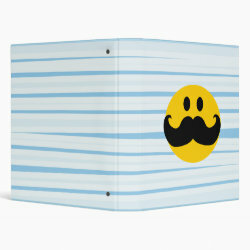 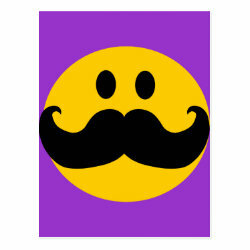 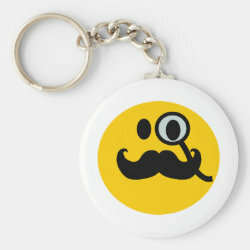 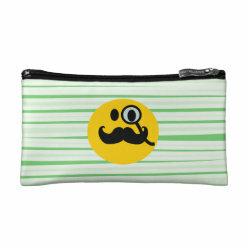 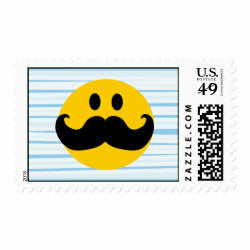 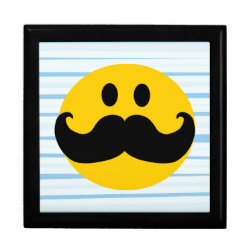 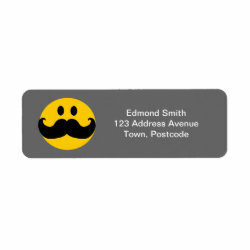 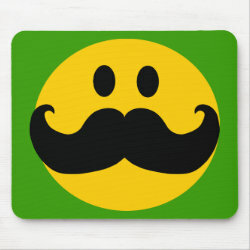 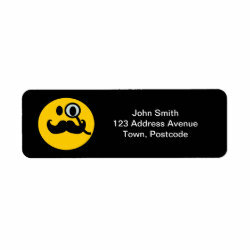 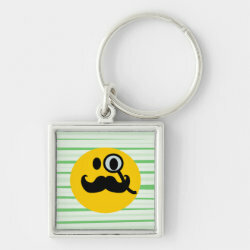 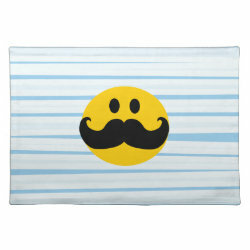 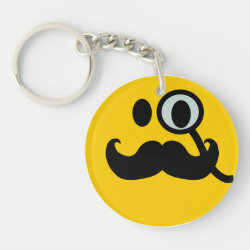 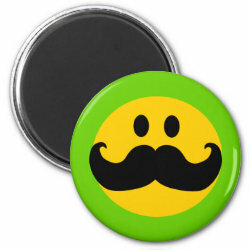 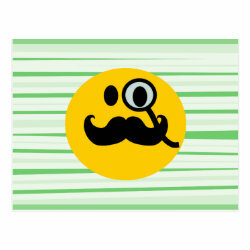 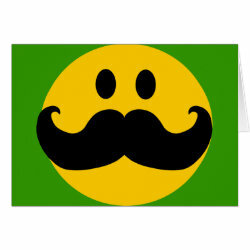 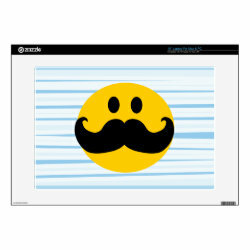 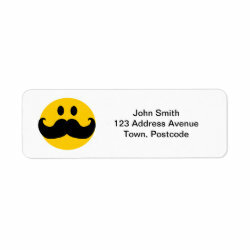 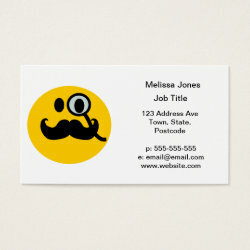 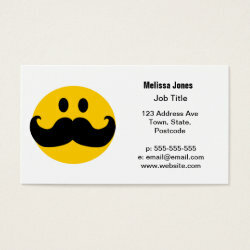 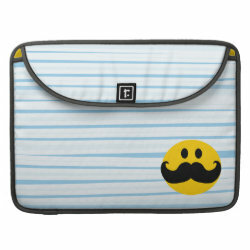 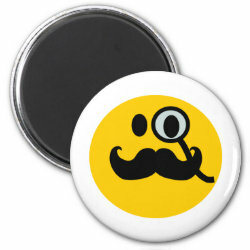 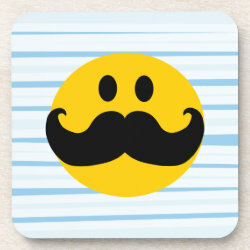 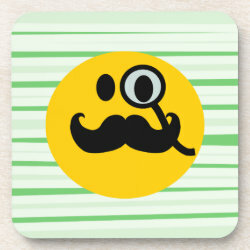 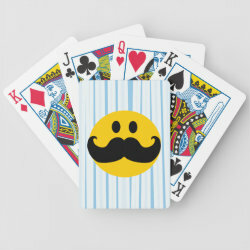 Mustache with Monocle Smiley Medium Stamp 2.1" x 1.3"